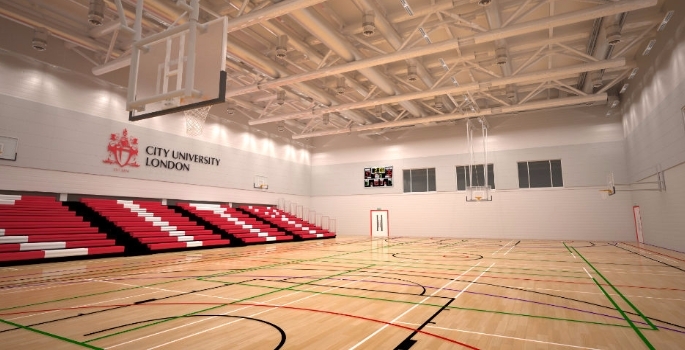 One of the largest sports facilities to be developed in central London is now open; tp bennett was the architect and interior designer on CitySport, which offers sports facility for City University London. The project is part of a wider mixed-use regeneration scheme for the university. 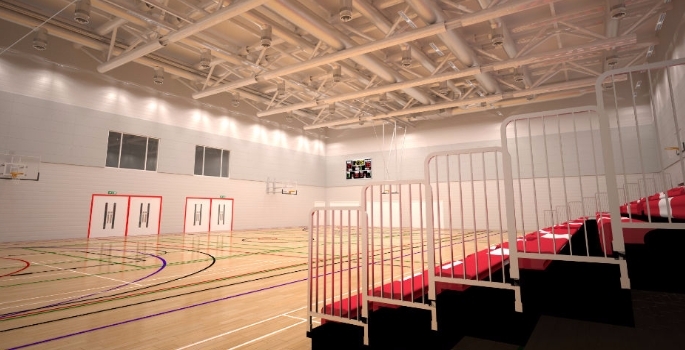 Measuring 3,289 sqm, CitySport is 80 percent larger than Saddlers Sports Centre, which it replaced, and incorporates a six-court, multi-purpose sports hall that is able to stage county-standard badminton, basketball, indoor football, hockey, volleyball and netball events. 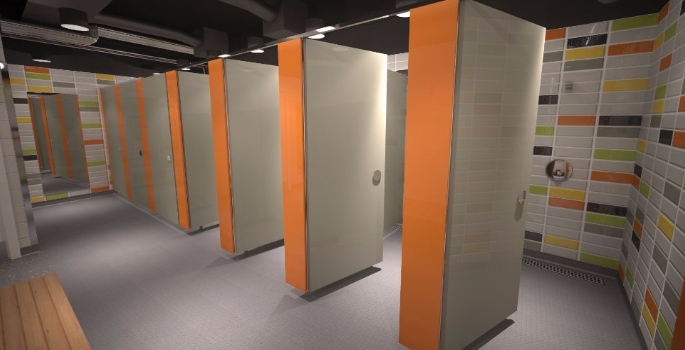 tp bennett was originally appointed by City University London to complete a feasibility study and then worked together with developer Generation Estates to explore the site’s potential. At the time, it housed a redundant 1960s development, as well as Saddlers Sports Centre and two student residence blocks. The initial scheme sought to replace and update the existing sports centre as well as provide new student accommodation. After further discussion, a broader strategy was developed to create a sports facility for students, staff and alumni and accessible to the local residential and business communities. This was to work alongside new education space for the university as well as the new en-suite student residences. The site was constrained on three sides by Goswell Road, Bastwick Street and Peartree Street; tp bennett’s design had to fit onto the site while respecting the adjacent streetscape and improving the public realm. 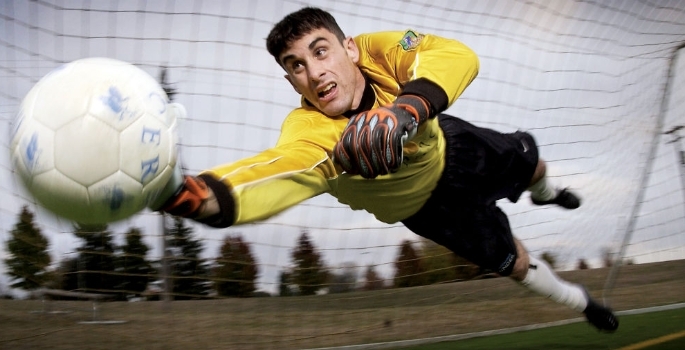 The brief for CitySport was developed with Kevin Gibbons, director of property and facilities at City University London and Alan Artus, director of generation estates working alongside Bill Thompson, head of sport and leisure at City University London, and Sport England. During the design phase, tp bennett faced a number of challenges. The first was finding a way to incorporate the county-standard sports hall measuring 36m x 27m, which also needed to seat 400 people from concealed bleacher seating. It required 12m clear headroom to meet Sport England’s standards and in addition a large span structure over the top. tp bennett’s design involved excavating the hall a full level into the ground. 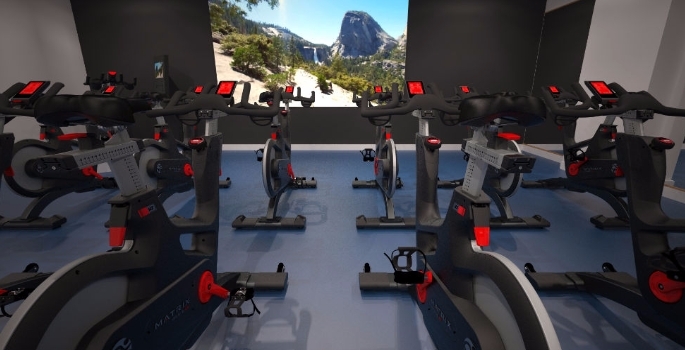 The CitySport building also includes a separate team entrance that enables disabled sport person event to be staged there, as well as meeting space, exercise studios and staff offices. tp bennett also completed two student residential blocks which have been occupied since September 2014.